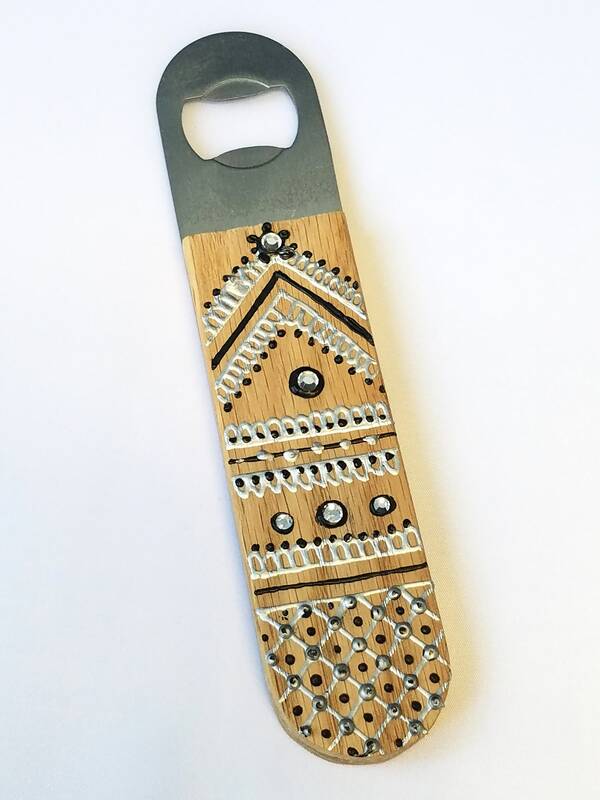 A collaborative effort helped create this unique bottle opener. It was hand carved by David Shafron of Darbynwoods Fine Woodworking, and then hand painted with henna designs by Andrea Howell of Tidal Cool in Cleveland, Ohio. A great addition to any bar!